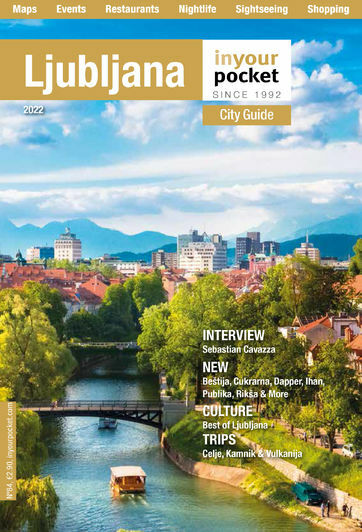 Despite being one of our favourite neighbourhoods, Trnovo is more or less off the official tourist radar, making this place a great choice for those wanting to avoid the crowded city centre, but still be within easy walking distance of the old town. Set on three floors of a newly renovated old house, the bottom two floors are reserved for long-term rentals (ie students) from the beginning of October till the end of June. The friendly owner Rok, is often on hand to greet new arrivals and dole out advice, and there's a large kitchen and common room for socialising. 48 beds (2-bed private rooms €41-53, 4-bed dorm €16.50-22.50, 6-bed dorm €15.50-20.50, 8-bed dorm €14.50-19.50). From October to June only one of the three floors is available for short-term stays.